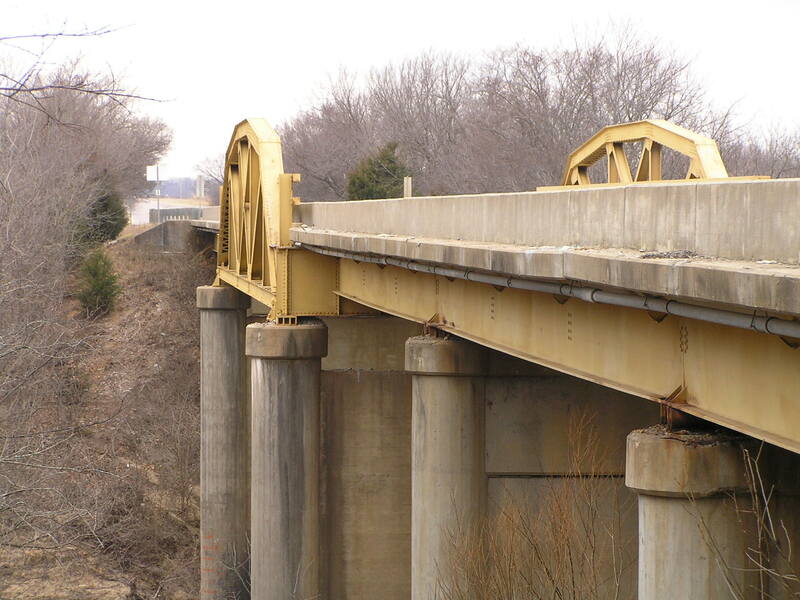 Built in 1949, this bridge consists of six spans: five steel stringer spans and a 100-foot long riveted Parker pony truss span giving a total structure length of 405 feet. 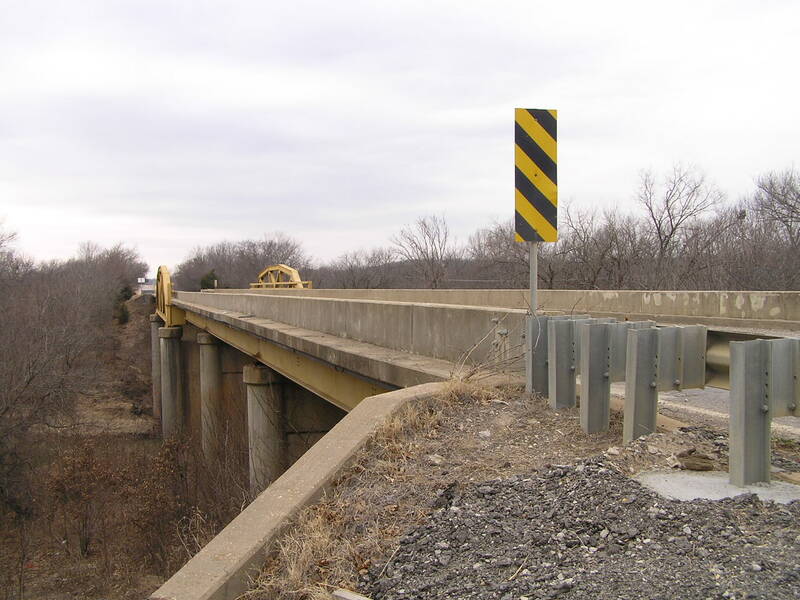 This bridge was built by Gragg Construction Co. The view above shows the bridge looking west. Below, a deck view of the truss span. The monolithic concrete barrier in front of the trusses is not original. Above, an oblique view of the structure showing the piers and lower parts of the spans. 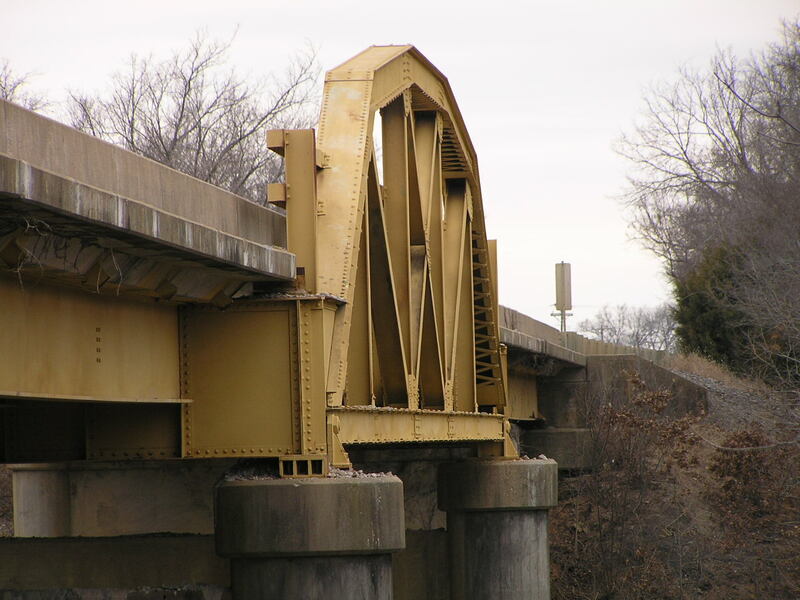 Below, a close-up oblique view of the truss span. Above, another side view showing the whole bridge. 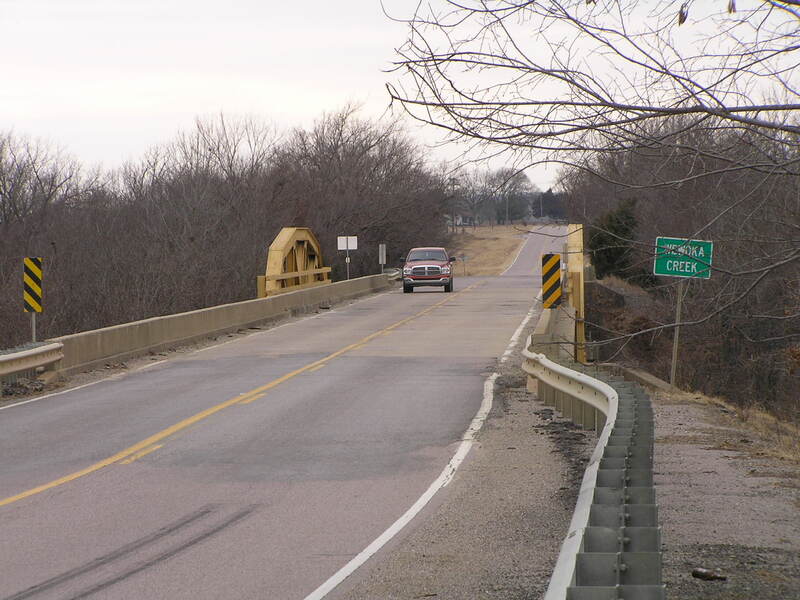 This bridge shows many of the changes that typically occur to old highway bridges in Oklahoma with the addition of the monolithic barrier in place of the old concrete "fence" style rails that were common in this era. 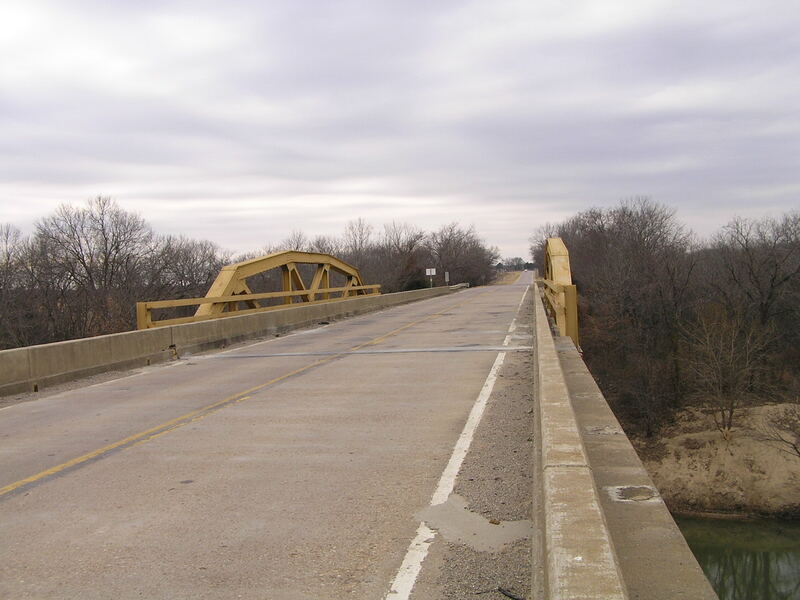 However, this bridge appears to have been well maintained overall.